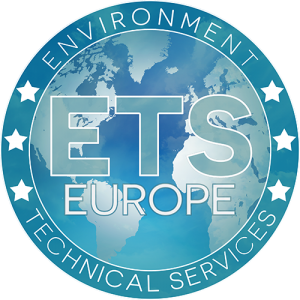 The website Hypertectum is part of ETS Europe. Hypertectum ® is a website of ETS-Europe, the inventor, manufacturer and patent holder of the range Hypertectum . Besides Hypertectum ® also called liquid rubber we have developed even more high-quality coatings and systems thanks to the help of the technology of the XXIst century. Furthermore we are THE supplier of many other coatings for surface treatment such as concrete, metal and wood. and balconies, EPDM membranes etc. Click to download our Hypertectum file or our one of our Hypertectum product sheets. Driven by an enthusiastic Research and Development team, our systems are continuously optimized and new products are introduced to meet the changing market conditions. Hypertectum ® is a plastic seamless coating liquid without reinforced fibres. Hypertectum is ideal for horizontal and vertical surfaces. Thanks to its excellent adhesion properties, transit connections, edges of attic windows and other interruptions, are not a problem. Hypertectum AF is a 1 component polyurethane die hard, the humidity. It consists of a high elastic, durable membrane with strong adhesion receiver hitch on different types of surface. Hypertectum AF eindafwerkingslaag as used. It is based on a pure elastomer aliphatic polyurethane resin with special inorganic fillers. Hypertectum AR ® is a 1 component polyurethane die hard, the humidity. Hypertectum AR consists of a high elastic, durable membrane with strong adhesion receiver hitch on different types of surface. Hypertectum AR menbraan since it is used as first, UV resistant. Hypertectum AR is based on a pure elastomer aromatic polyurethane resin with special inorganic fillers. Hypertectum duoflex ® is a fast drying liquid bitumen polyurethane components. Hypertectum very high elastic membrane duoflex consists of a receiver hitch with strong adhesion on different types of surface. Hypertectum has excellent mechanical and chemical properties duoflex both. Hypertectum is based on pure elastomer duoflex hydrophobic polyurethane resin with chemical polymerised bitumen. Tectflex-PU is a 1 component polyurethane kit packaged as sausages that cures by the humidity and so a solid sustainable but very elastishe kit. Tectflex-Pu can be applied at every temperature. Tectflex-Pu can be applied in both vertical and horizontal connections.